A more pack friendly, lightweight, and easier to use avalanche shovel and snow saw combination, the T6 Tech conveniently stows a 14"/36cm snow saw blade. 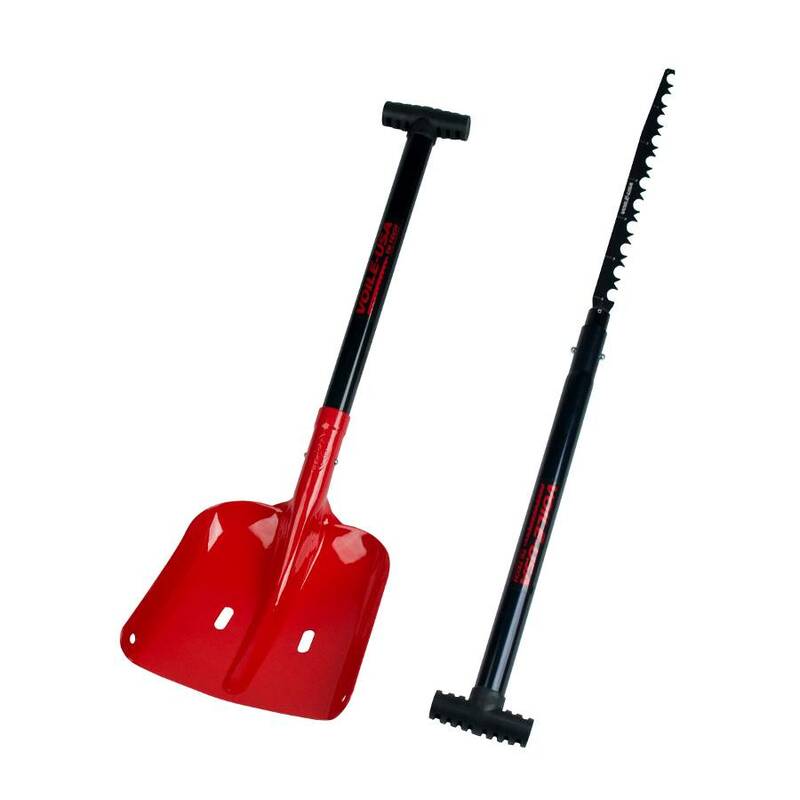 The snow saw blade is easily and conveniently attached to the end of the shovel shaft for avalanche snow science work and winter shelter building. Voile T6 avalanche shovel is the Professional's Choice. T6 is the level of hardness reached in the aluminum heat-treating process for the Voile T6 model avalanche shovel scoop. Avalanche professionals, guides, patrollers, and rescue teams require this level durablity in their avalanche rescue shovel. All Voile T6 avalanche shovel scoops have deadman holes in the scoop to be used for snow anchors or for making a rescue sled. Scoop Only: 13.5 x 10 in.